La Flor de Domincana nieuws. The Chisel, the strong, distinctively tapered cigar made by Litto Gomez, is getting flat. The La Flor Dominicana Chapter 1, a limited-edition smoke packed in a book-shaped box containing 10 cigars, is set to be unveiled next month at the cigar world's biggest trade show. The dark smoke is wrapped with an upper-priming Brazilian wrapper. The inside is a blend of Connecticut broadleaf binder and filler tobacco grown on the Dominican farm that Gomez has used for years in his signature cigars. Most of the cigar's body is box-pressed, a first for a Chisel, and the head of the cigar has that signature flattened tip that looks like a wedge. Gomez told Cigar Aficionado the project was the brainchild of his son Tony. "He made it fatter and he flattened it," Gomez said this morning. When asked if the cigar was strong, Gomez replied: "Very. I think it's the strongest Chisel. The broadleaf binder kicks it up." The Brazilian wrapper used on this smoke is from the same tobacco used for the La Flor Dominicana TAA cigar and in the Casa de Tabaco Air Bender Maduro, but from a higher priming. A high-priming leaf is grown higher on the tobacco plant, resulting in darker color and more power. Re: La Flor de Domincana nieuws. “A” sized cigars are the empire cut prime ribs of the cigar world: They are huge, they take a long time to consume, and they are absolutely not for every day. With that in mind, Litto Gomez of La Flor Dominicana has released his first “A” in years, the La Flor Dominicana Double Ligero A Oscuro Natural. Gomez said he made a “few thousand” of these As, which measure 9 inches long with a 47 ring gauge (a tiny bit shorter than the Cuban standard size of 9 1/4 by 47.) The ultra-long cigars are wrapped with Ecuador Sumatra leaves that are very dark, taken from high atop the plant, and contain filler and binder from Gomez’s farm in La Canela, Domincian Republic. The cigars come in boxes of 10 that are laser etched with recently expanded Tabacalera La Flor Factory in Tamboril, Dominican Republic. They have a suggested retail price of $15 per cigar. The cigars have shipped to cigar stores, and those closest to La Flor headquarters in Coral Gables, Florida, should get them first due to shipping times. All shops that ordered them at the trade show should get them by next week. 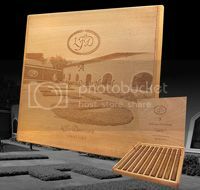 Most cigar companies save their big debuts for the International Premium Cigar & Pipe Retailers trade show each summer. La Flor Dominicana, though, has turned tradition on edge by creating several high-profile new releases that will head to market in November and December. The La Flor Dominicana Ligero L-Granú is a stronger, fatter Ligero that will ship in November. The smoke measures 6 inches by 64 ring gauge—the fattest parejo the company has ever rolled. 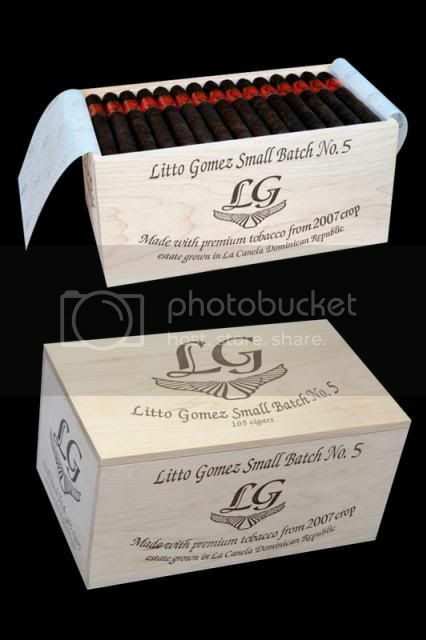 "It's our first 64 ring gauge," said cigarmaker Litto Gomez in an interview with Cigar Aficionado. "It's the fattest [non-figurado] we've ever made." 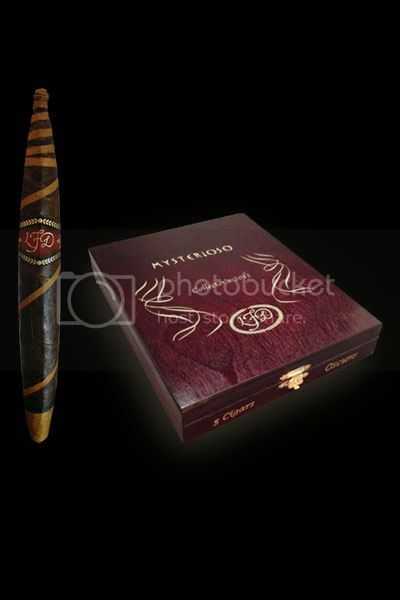 The cigar is made from an all-Dominican bunch finished with a leaf of Ecuadoran Sumatra. "The wrapper is a higher priming and it's darker [than the regular La Flor Ligero]," said Gomez. "It's a kicked up Ligero." The smoke will retail for $8.50. Gomez thinks this is the fattest he will go for straight-sided cigars. "I don't think I'm going to go over 64," he said. "I bought molds for a 70 [ring gauge] cigar but it doesn't feel right." La Flor Dominicana Small Batch No. 5 comes packed 105 to the box, measures 6 3/4 by 52 and will retail for $19 per cigar. Also scheduled for a November release is a limited-edition holiday version of his La Flor Dominicana Mysterioso Collector's 2013. The big perfecto has an intriguing look, with a variation of a barber-pole wrapper that's heavier on the dark maduro (in this case, Connecticut broadleaf) and Connecticut Ecuador highlights. "Don't let the appearance of the cigar fool you," says Gomez, who is known for making strong cigars. "It has guts." The inside of the smoke contains Nicaraguan and Dominican fillers and Dominican binder. They will retail for $19 and come in boxes of five. Gomez is also coming out with his fifth version of La Flor Dominicana Small Batch. La Flor Dominicana Small Batch No. 5 is an all-Dominican smoke, with a total run of only 25,000 cigars. Packed 105 to the box, the cigars will measure 6 3/4 by 52 and retail for $19 per cigar. Gomez says this version is far spicier than the No. 4. "It's a very powerful cigar, very meaty," he said. They begin shipping in December. Idéfix schreef: Mooi nieuws Rene! Mooi toch hoe zo zoiets maken. 20 Year Cigar From La Flor Dominicana. years ago, Litto Gomez began rolling cigars in a cramped and modest factory in the Dominican Republic. Today, he is preparing to release an ornate smoke celebrating 20 years in business, made in his picturesque and anything but modest cigar factory in Tamboril, Dominican Republic. La Flor Dominicana's 20 year cigar (the final name has yet to be determined) will be released in unique packaging, not surprising for Gomez, who has become one of the most creative cigarmakers in the business. 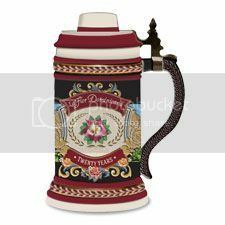 The packaging will be a porcelain beer stein reminiscent of an Oktoberfest celebration. The cigars are going to be made of a core of Dominican tobaccos grown by Gomez, who has evolved into not only a cigarmaker, but a farmer. The wrappers will be dark leaves grown in Mexico's San Andrés Valley, which have only appeared on one other La Flor Dominicana cigar, the Factory Press IV. Gomez, who owns and operates La Flor Dominicana with his wife, Ines Lorenzo-Gomez, said they hoped to have the cigars on the market by September, with a limited production run of 60,000 cigars, 20 in each jar.